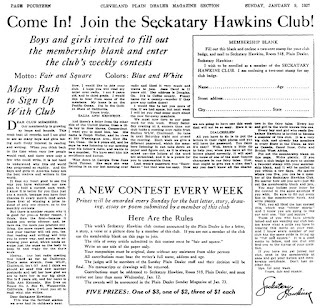 Harry Frank Sahle was born in Cleveland, Ohio in 1912. His full name was found at an Ancestry.com family tree which has a short remembrance by his son, Robert. Sahle’s parents, Edward and Sarah (Jewell), married January 25, 1912 according to the Cuyahoga County, Ohio, Marriage Records and Indexes, 1810-1973 at Ancestry.com. Five years later, his father, a widower, signed his World War I draft card on June 5, 1917. 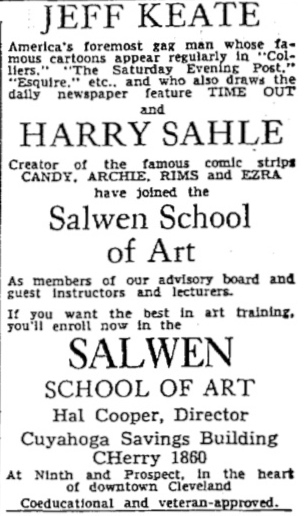 The Plain Dealer, September 23, 1950, said, “…After attending East High School, he worked for the Cleveland News as a cartoonist….” Sahle has not been found in the 1930 census. 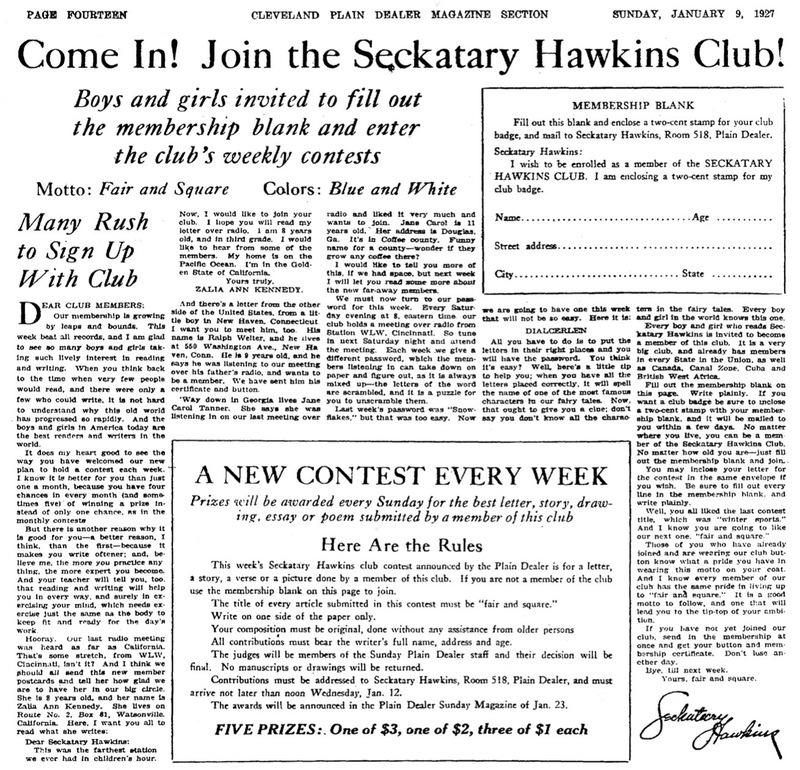 His father had remarried and lived in the Bronx, New York, with his wife and stepson. In New York he found work in the comic book industry; his credits are at the Grand Comics Database. Lambiek Comiclopedia has samples of his art. His Candy comic books can be viewed at Fury Comics. Who's Who of American Comic Books 1928–1999 has an overview of his career. Who’s Who and Wikipedia said Sahle used the pen name “Jewell”; it was his mother’s maiden name, as noted earlier. 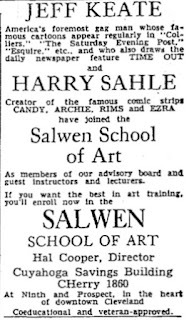 According to Fury Comics, “Harry Sahle, along with writer Elmer Groggin, also produced a Candy comic strip, first syndicated by the Chicago Times Syndicate on October 2, 1944….” In Summer 1949, he was a teacher at the Salwen School of Art in Cleveland. Great site. A couple of Sahle questions, what do you suppose was the cause of such a young death (at 38) and it appears he left comics for less than 1 year between Archie and Quality comics - seems too short of a time to have joined the military. Any ideas?